The Perfect Addition to a Princess Party! 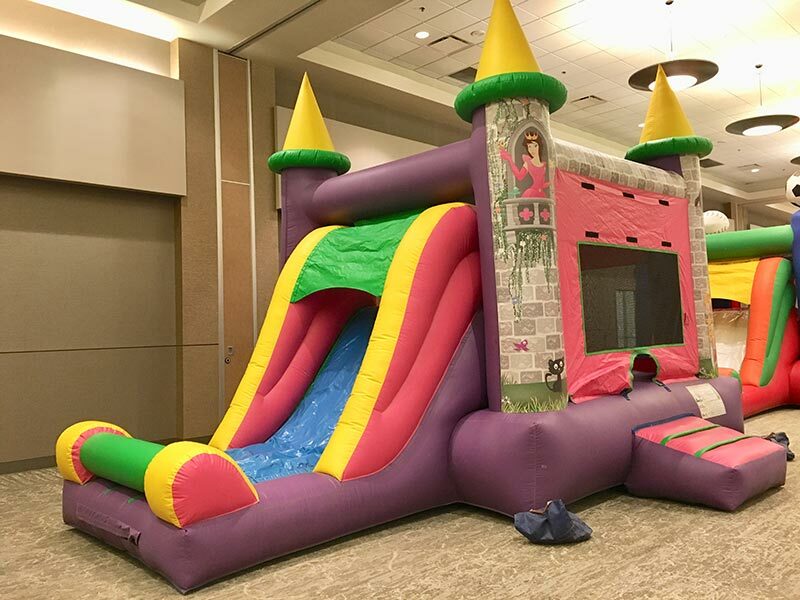 Our inflatable Princess Castle Combo is a perfect addition to the party for the princess in your life! Jump and play in the bouncing area then climb up to the summit and take a trip down the slide that is over 6 feet long! Save the day and let your little princess have COTTON CANDY and POPCORN at her party this year. You might also like our DISNEY PRINCESS MOONWALK or the CASTLE MOONWALK. Even though our specialty is fun, we take safety seriously. Fun Services is fully insured and licensed. So, you can always expect to receive professional, quality service with every rental from Fun Services of Nebraska and Iowa.